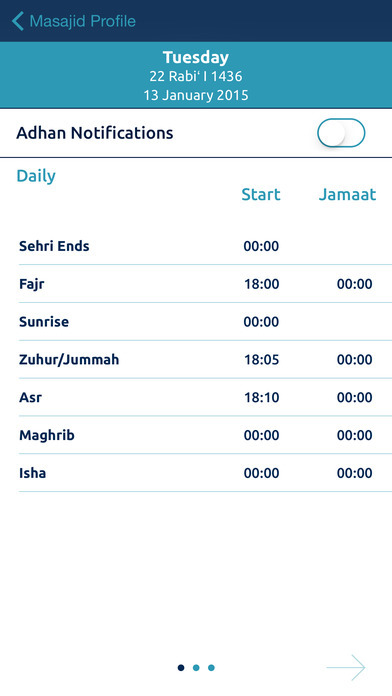 Daily updated Namaaz times and messages. Wherever you may be, home, office or on the road – no need to guess the direction of Qibla when praying Salah. My Mosque does it all for you. Whether you are travelling or not My Mosque will show you which Masjid are within your vicinity, their location and distance from where you are. You simply have to subscribe to a particular mosque to receive its information. 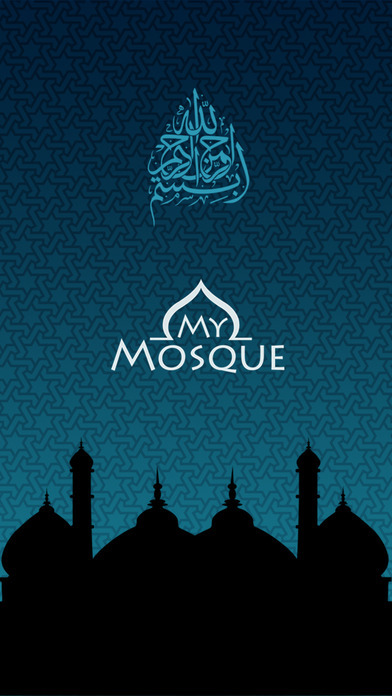 This feature is unique in the sense that you no longer need to choose a calculation method nor start adjusting times to fit your locality as with other Apps on the market – the prayer times have been uploaded directly from the mosque you choose to subscribe to. 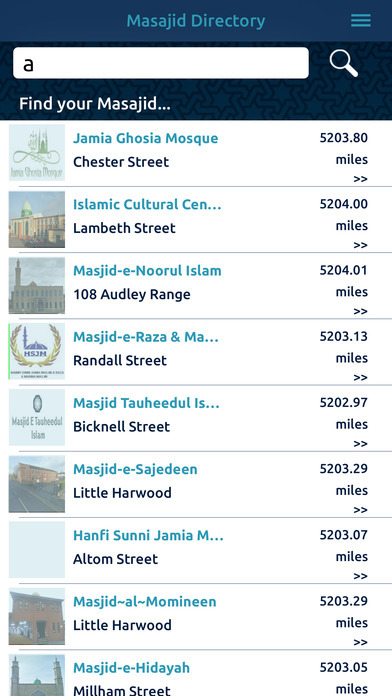 The Masjid can send out push notifications to all its subscribers regarding different programmes, events, fundraising or even daily reminders. You will receive these as messages direct to your iPhone so you will always be aware. If it happens that you see the text but forget the details – no problem – you can review all messages under the notifications tab of your subscribed mosque.